My interest in art includes gardening. Of course, it does! How could it not? I imagine it's that way with everyone. We all have that spark of creativity in us because we are children of God, the Creator of earth and heaven and worlds without number. His beautiful creations awaken our senses and stir within us a desire to not only be a partaker but to be a partner in the wonder of creation – that fulfilling work of taking of the various elements and making something that has never been produced before. Can you believe we actually have the ability and opportunity to do that? I think we love creating something from our heart, no matter what it is, because we are exercising a bit of the divinity that is within us. 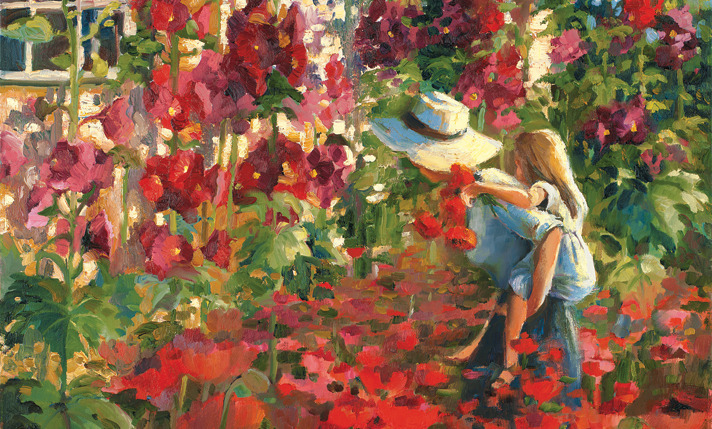 Gardens are a grand way to get a glimpse of heaven. 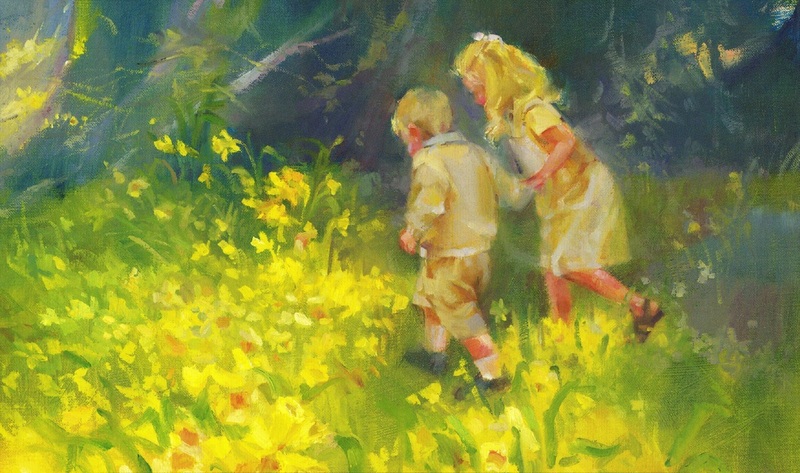 When I look at the painting, Daffodil Hill, by Anne Marie Oborn, I am struck with amazement at its beauty, especially since the little boy and girl are my own children. It makes me think of the words of a hymn, "Earth, with her ten thousand flowers" (included below). I have enjoyed taking landscape design and gardening classes through the years. I thoroughly loved designing our own yard and gardens (an ongoing, always changing, never-ending, exciting, fun, challenging, rewarding work). For a couple of years (2012–2014) I served on the special events committee and advisory board of the Conservation Garden Park, a water-wise garden in West Jordan, Utah. I've also had the blessing of working on temple and church gardens where I have learned from experts and gained from experience. What joy it is to dig in the dirt, plant a seedling, and see it to fruition! There is something so healthy about connecting with nature and earth.